Count one more victim of the cold brought by the recent polar vortex in North America. 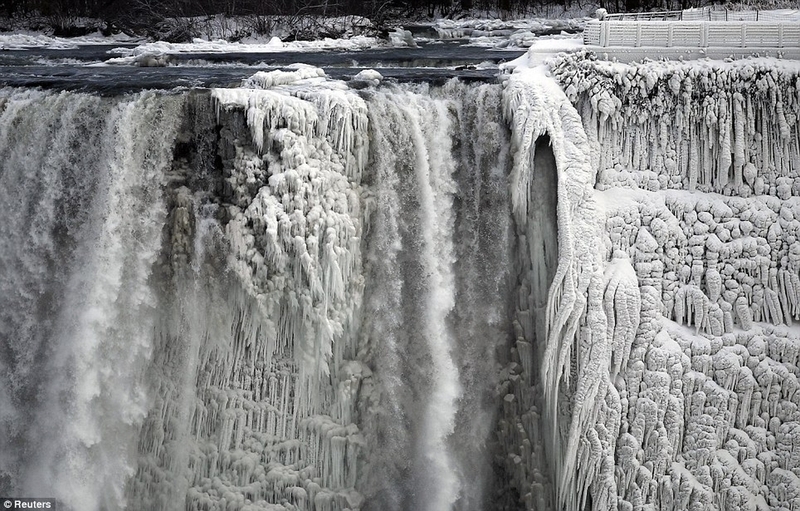 As temperatures dipped down to -20 Fahrenheit, the water around Niagara Falls begin to freeze, creating some spectacular images for those brave enough to head outside in the cold to witness the event (such as the one above). 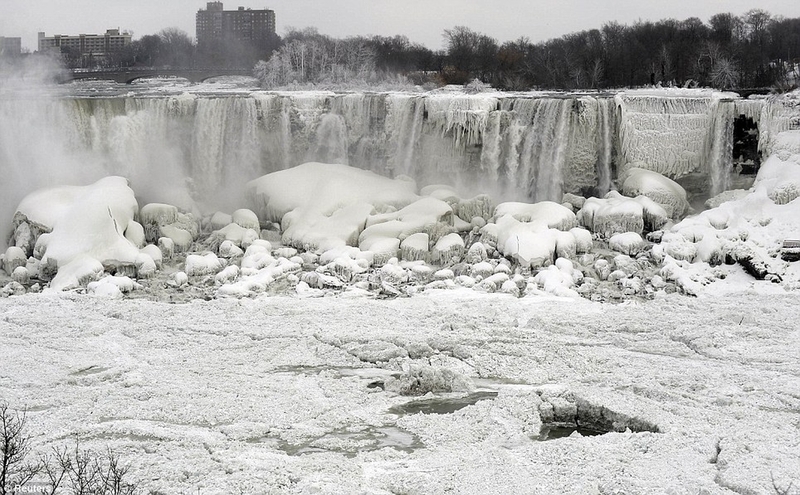 It should be noted, freezing is not actually that uncommon in and around the falls (this is upstate New York/Ontario we’re talking about), although it usually occurs a little more gradually than what occurred this week (temperatures dropped 47 degrees in less than 24 hours from January 6 to January 7). It should also be noted that the falls don’t actually totally freeze over — we’re talking about 150,000 gallons of water per second flowing 176 feet down — however, once, back on March 29, 1848, it was recorded that an ice jam upriver from the falls caused a blockage, resulting in the falls drying up for a few hours until the block of ice dislodged and allowed water to flow back downstream (a few intrepid individuals even ran out to the edge of the falls to grab rocks as a souvenir).